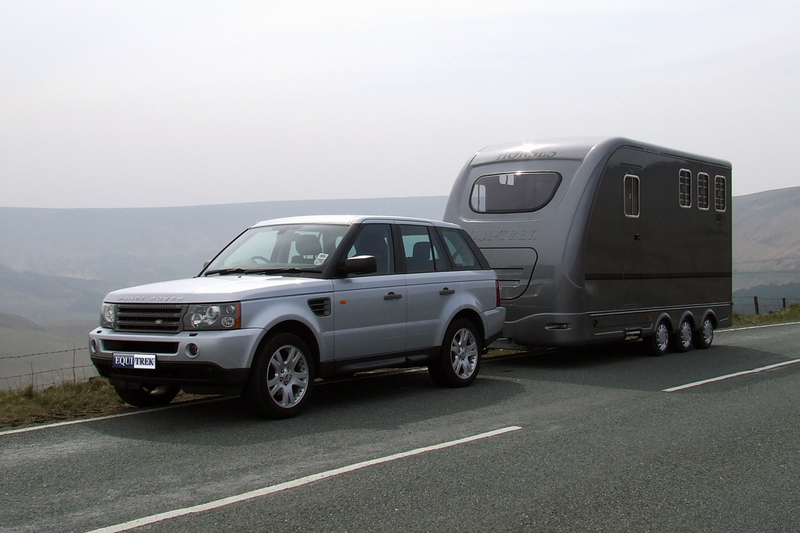 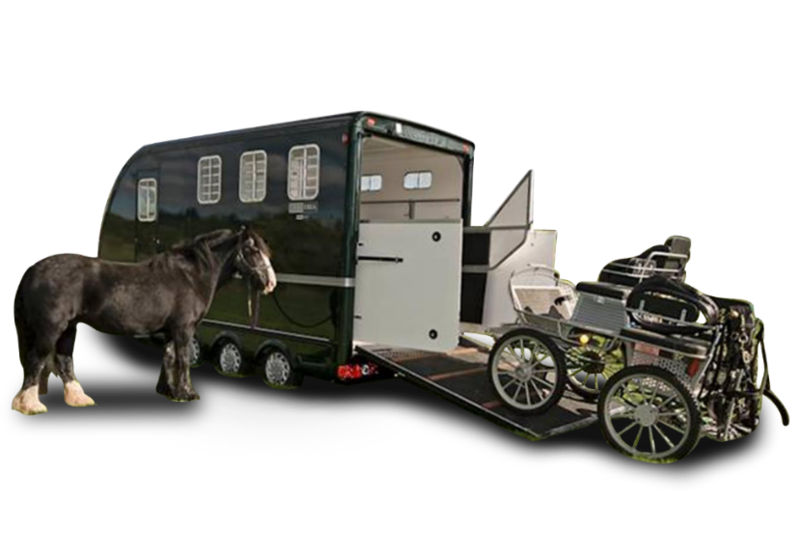 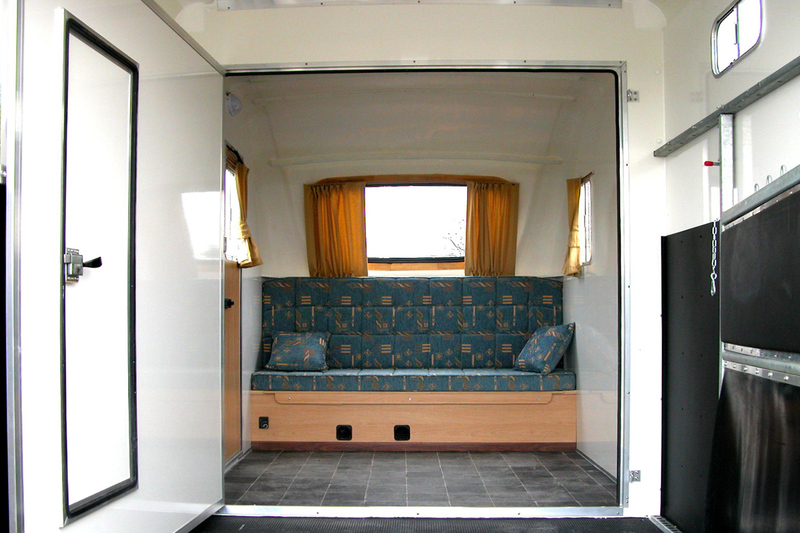 This tri-axle trailer can be built to your personal specification, designed to transport both your carriage and horses with optional overnight living accommodation. 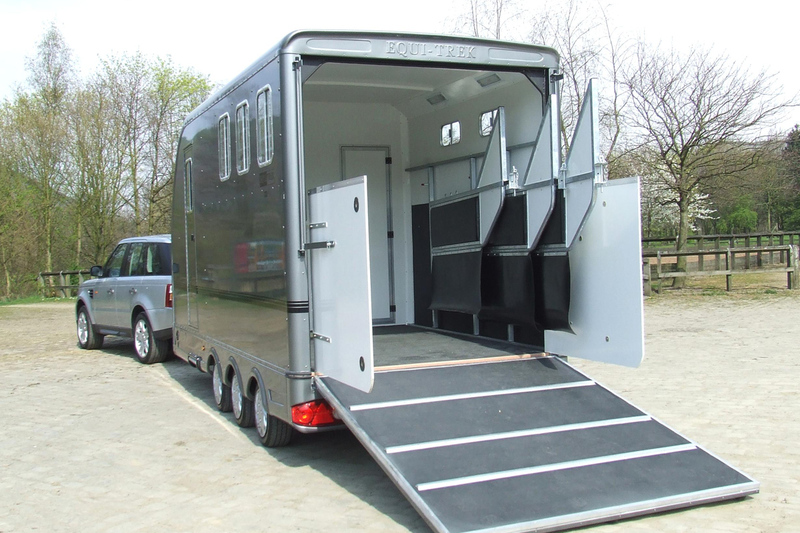 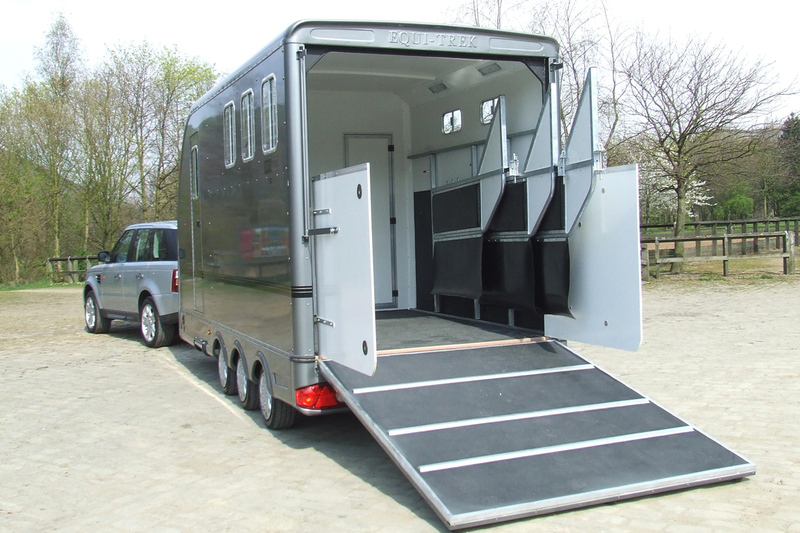 A wide body and rear ramp allows two horses to load and travel herringbone. 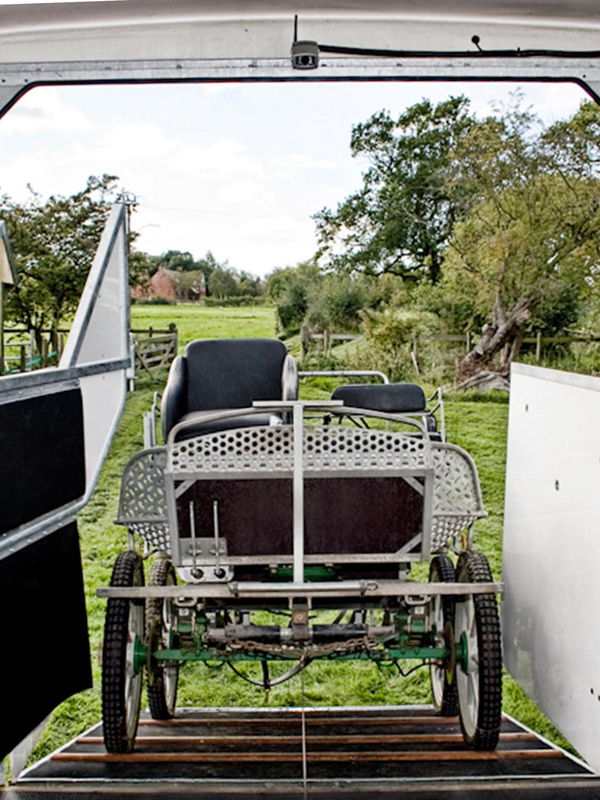 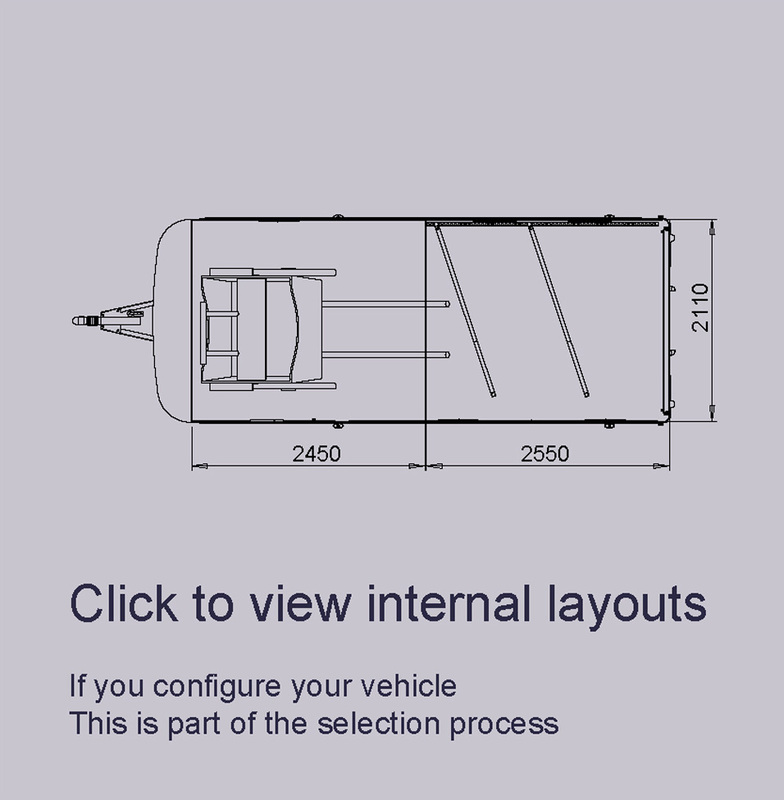 The carriage is loaded first and stored in the separate front area behind a moveable bulkhead door.